Pure Water Technology - Sparkle Window Cleaning Inc. Pure Water or Water fed Window Cleaning Techniques is an alternative to traditional window cleaning methods. Our Custom designed state of the art water purification system delivers 100% pure laboratory grade water this ultra pure water will absorb and wash away all dirt and grime Leaving a long lasting spot free shine. No one does Pure Water like Sparkle Window Cleaning. Call us today and experience the Sparkle Window Cleaning difference. Most people think of using powerful chemicals to get their windows as clean as possible. The good news is Sparkle Window Cleaning can provide the same level of clean without the use of harsh chemicals that can damage the environment. We use pure water technology that utilizes lab purified water to get rid of the dirt and grime that has built up on your windows. This is a safer, effective way to wash your windows without needing any chemicals. One of the biggest issues with using commercial-grade cleaners to wash your windows is it can easily leave streaks or spots if it isn’t done correctly. However, when you turn to use with our state-of-the-art pure water technology, you can count on a long-lasting shine that won’t have any spots or streaks to contend with. The 100 percent pure water will dissolve and wash away any of the dirt and grime so your windows will be spotless and clear for optimal viewing. One of the biggest concerns individuals have when it comes to cleaning their home is using harsh chemicals that can seep into the environment and cause damage to the surrounding animals and landscape. With the use of pure water technology, this is no longer a problem, all without sacrificing the clean you expect. 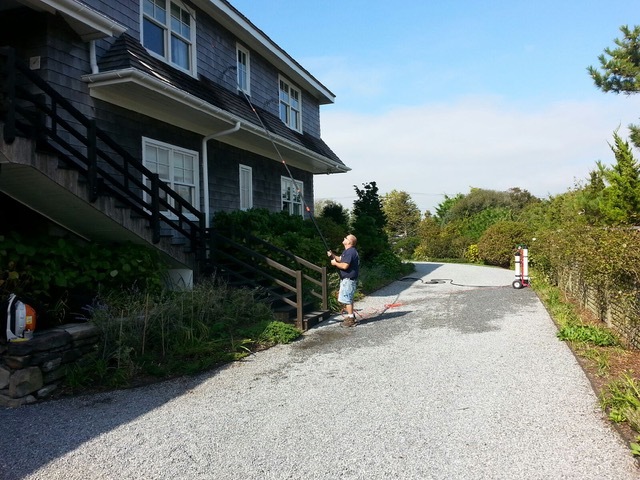 We understand your concerns and do what it takes to get your windows sparkling clean without harming the environment.